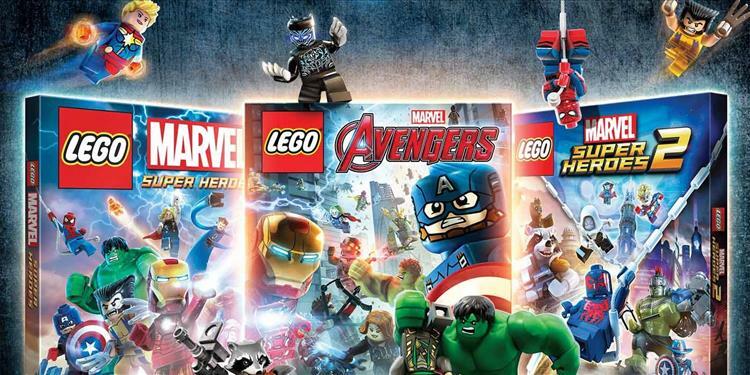 Warner Bros. Interactive Entertainment, TT Games, The LEGO Group and Marvel Entertainment recently announced the LEGO® Marvel Collection, bringing LEGO® Marvel™ Super Heroes, LEGO® Marvel Super Heroes 2, and LEGO® Marvel’s Avengers together in one package. The collection also includes previously released DLC packs for the three games. In LEGO Marvel Super Heroes, players assume the role of their favorite Marvel characters Spider-Man, Iron Man, Wolverine, Thor, Captain America and the Hulk, as they assemble in a completely original story. Players will battle against some of the most menacing Marvel Super Villains, including the dastardly Doctor Octopus, the ghastly Green Goblin, and the ruthless Red Skull. LEGO Marvel Super Heroes 2 picks up directly where LEGO Marvel Super Heroes left off, bringing together a diverse roster of iconic Marvel Super Heroes and Super Villains from different time periods and realities. Players can roam and explore 18 different Marvel locations within the Open Hub World of Chronopolis, from the vibrant jungle of Wakanda to the pyramids of Ancient Egypt. LEGO Marvel’s Avengers features storylines from—you guessed it—the Avengers films, in which players can unlock over 200 characters and explore eight different open world environments. Want to go to Asgard? Sure! Want to super jump off some scyscrapers with Hulk? Speedrun across water with Quicksilver? Have at it! This three-game compilation will be available March 12, 2019 for the PlayStation®4 computer entertainment system and the Xbox One family of devices.